3media offers a variety of Expert Shared Hosting Plans to fit any need. No matter whether you’re starting a Blog with WordPress, installing a CMS solution with Drupal, opening a Forum with PHPBB, starting an Online Store with osCommerce, or any number ventures beyond those mentioned above, our Expert Web Hosting plans are exactly what you’ve been looking for. If you do not see a plan that fits your requirements or budget, call us. All of our servers are the best managed Dedicated Server Solutions available combined with unbeatable uncompromising support. Available with Linux or Windows operating systems, our Dedicated Server Solutions also come with 24×7 proactive monitoring and server hardening. We offer single processor and dual processor dedicated servers. WordPress for websites and blogs is probably one of the most popular CMS (content management system) platforms going today. The problem is with it’s increased popularity comes increased attention from hackers. If your website has not yet been compromised, it most likely will. You will be subject to a brute force or injection attack against your site and, if you are not ready, they will break in. If your data is securely backed up and you are aware of the break in, restoring your website should be a relatively easy task. You will experience some down-time which already does damage to your brand. Unfortunately we are finding most smaller businesses are not protecting themselves nor have contingency plans in place. Having your data compromised is only part of the problem. If they grab your members list and begin using it for SPAM, that is going to cause some serious negative focus from your clients/participants. 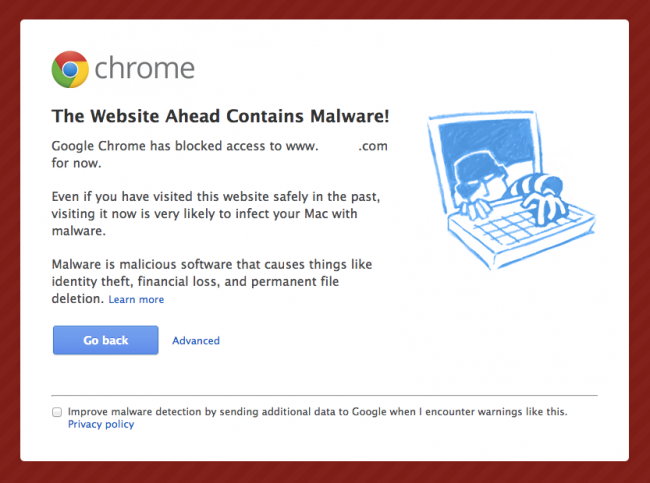 More times than not a compromised site will be used from something much more malicious. The hacker will insert malware into your site so visitors will potentially have their information placed at risk. Certainly that will bring even more negative focus. The BIG problem is having your website blacklisted. Sites are blacklisted when search engines (Google, Bing, Norton etc…) find irregularities on a website that is likely malware. Malware can come in many forms: trojan horses, phishing schemes, pharma hacks, email or information scraping. However, it’s in the search engine’s best interest to not show infected results as searchers could quickly choose to abandon one search engine for another if they found they or their computer were being put in harm’s way. In the context of websites, webmasters care about whether or not their site has been blacklisted from the various search engines’ results pages. In practice, when a site is blacklisted, it loses nearly 95% of its organic traffic, which quickly impacts sales, revenues and client perception of your company / brand. 3media offers hardened & protected WordPress hosting plus all of the development services associated with bringing a website to fruition that will do your brand proud!